New Delhi, January 24, 2015 -- Should U.S. President Barack Obama find himself troubled during his visit to India by New Delhi’s heavily polluted air, the chances are that he will be able to breath cleaner, healthier indoor air thanks to indoor air purifiers from Sweden’s Blueair. The U.S. Embassy in the Indian capital, described by WHO as one of the world’s most polluted cities, recently purchased over 1,800 Blueair high performance indoor air purifiers to protect employees at the embassy and other locations. Earlier in January, the American embassy’s monitoring station recorded an Air Quality Index reading of 252, a level the U.S. Environmental Protection Agency (EPA) describes as ‘very unhealthy’.The EPA says such air pollution levels can cause"significant aggravation of heart or lung disease and… a significant increase in respiratory effects in the general population." President Obama is in India to participate in the Indian Republic Day celebration of January 26 as the Chief Guest, the first time a U.S. president will have the honor of attending Republic Day, which commemorates the adoption of India’s constitution in 1950. Commenting on the decision by the U.S. Embassy to buy such a large number of Blueair indoor air purifiers, the company’s founder and CEO, Mr Bengt Rittri, said:“This order confirms Blueair’s position as the ‘air purifier of choice’ when it comes to protecting U.S. government employees and their families from health and wellbeing threats posed by polluted indoor air”. A vast array of international institutions, government agencies and cor­porations already use Blueair air purifiers, which have had their efficiency endorsed by the U.S. Association of Home Appliance Manufacturers, AHAM, and the official Shanghai consumer agency. 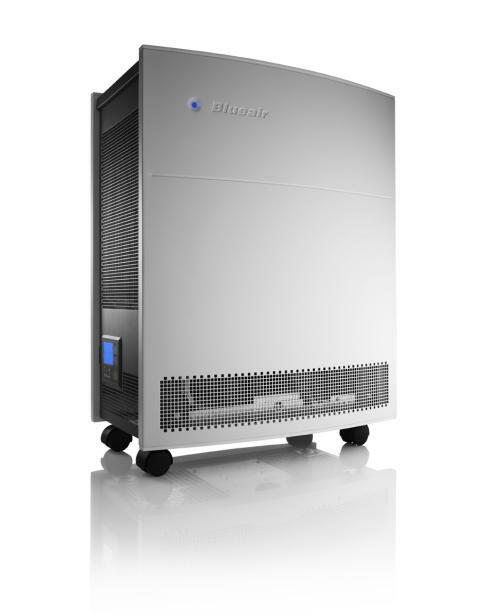 In November 2013, Blueair won an order to supply thousands of its premium air purifiers to U.S. Embassy offices across China. A Blueair air purifier equipped with a Smokestop filter was recently described in an exhaustive, independent test of top air purifiers models by America's Fast Company Magazine as ‘the best at cleaning air as quickly as possible”. 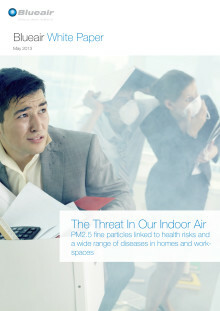 The magazine put nine air purifiers through 100 hours of research and testing conducted by an airborne particle physicist and former NOAA scientist. “Blueair air purifier’s are designed to clean indoor air of airborne pollutants such as allergens, dust, asthma triggers, viruses, bacteria and other airborne contaminants, which makes them an ideal choice for the U.S. Embassy in New Delhi,” says Vijay Kannan, head of Blueair India, a wholly-owned subsidiary of Sweden’s Blueair AB. Blueair India was recently established by Swedish-based Blueair AB to market it’s award winning indoor air purifiers across India. “Delhi’s air pollution may be even worse than Beijing’s smog, with about half of all doctor’s visits related to respiratory problems, according to some research. This is not something we find acceptable at Blueair, where our ethos is that everyone has the right to breathe clean air,” Mr. Kannan said. Before their departure from India, the President Obama and his wife Michele will visit the Taj Mahal, the iconic monument of Mughal architecture, in Agra. Ironically, a recent report said the famed white color of one of the world’s great sights, is being turned a brownish-yellow by air pollution caused by burning of fossil fuels, biomass and garbage. Vijay Kannan, India Head, Blueair India Pvt. Ltd.
Sold in over 50 countries around the world, Blueair delivers home and office users more clean indoor air for enhanced user health and wellbeing faster than any competing air purifier thanks to its commitment to quality, energy efficiency and environmental care. A Blueair air purifier works efficiently, silently to remove 99.97% of allergens, asthma triggers, viruses, bacteria and other airborne pollutants.